Mick has this strange thing; he is afraid of clowns. When he sees a clown on the street, he crosses the road. If there is one on an event, he leaves. 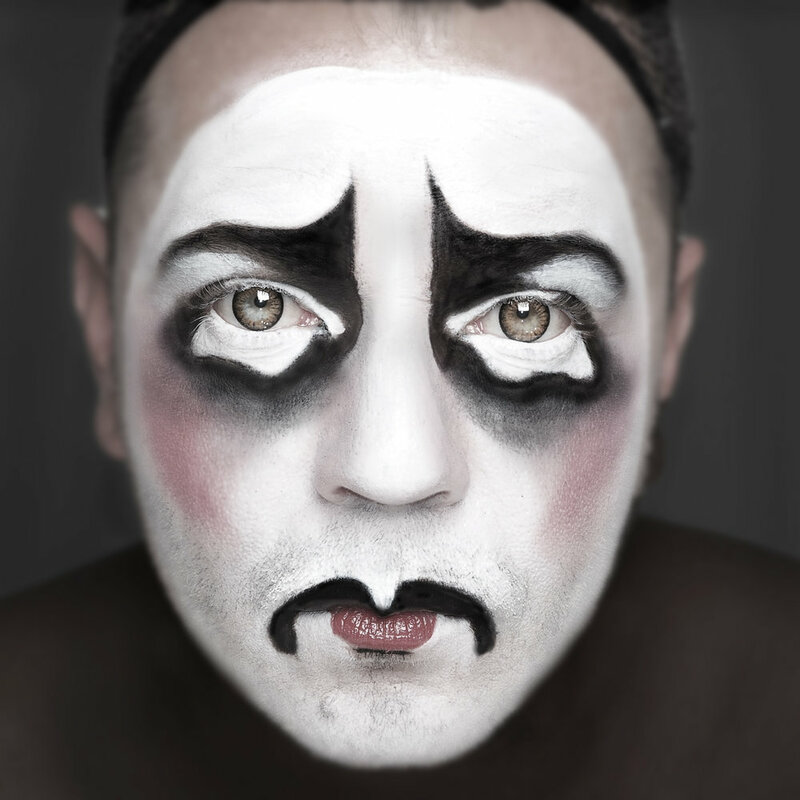 To overcome that fear he painted his face and made self-portraits as clown.